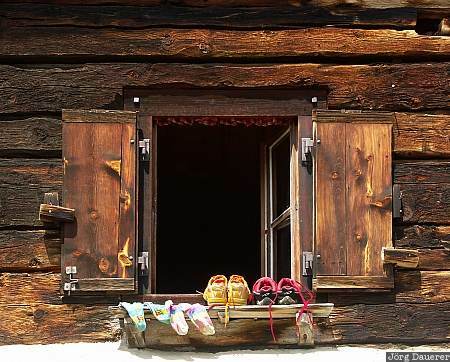 Open window with shoes and socks in a small village in the upper Engadin valley Grevasalvas in southern Switzerland near St. Moritz. This photo was taken on a sunny day in May of 2005. This photo is part of the exhibition Windows (February 2007). This photo was taken with a digital camera.